Service and repair to all makes and models 5 days a week. Full inventory of parts for van bodies and liftgates. 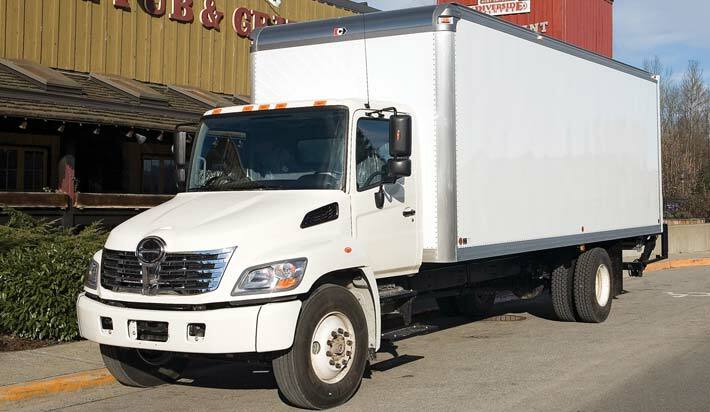 Our Mission is to provide the highest quality product in the Truck Body Industry. Our Pledge is to serve our customers to their complete satisfaction at a price which is fair and acceptable. Our Success is measured by those we serve. Collins Manufacturing Company Limited located in Langley, BC has been a leading builder of truck bodies in Western Canada since 1944. We work with a variety of industries including lease & rental, transportation, delivery, and food services to name a few. We serve customers from Vancouver, BC, Edmonton and Calgary, Alberta and Saskatchewan. We specialize in the manufacture of high quality aluminum radius dry freight van bodies, insulated truck bodies, heavy duty flat decks, curtain siders, cutaway van bodies, and custom glass rack bodies. © Copyright 2010 - 2019 Collins Manufacturing Company Ltd. All rights reserved.